Minimalism given shape. 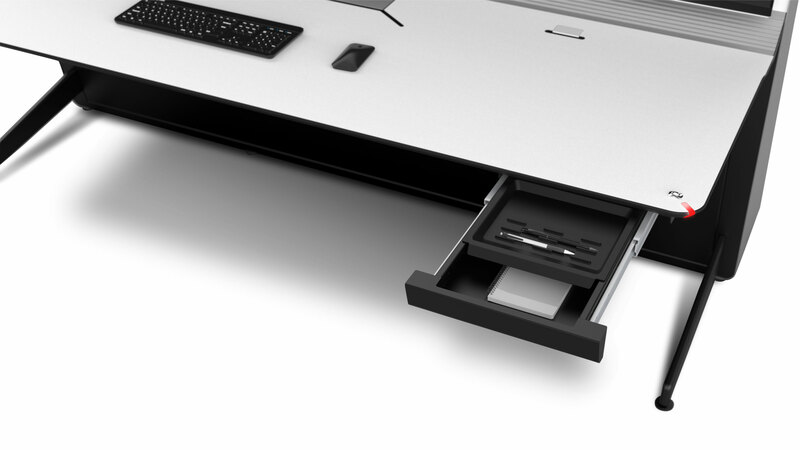 Discover the ACTEA Slide console whose design hides the latest in innovation to create the definitive console. With a unique design, the new ACTEA Slide console is the perfect example of how, in minimal expression, we can find an extraordinary fusion between technology and connectivity. Efficient management for the most demanding environments. The new ACTEA Slide console has been designed to create a unique experience not only for the operator, but also for any users who interact with it. 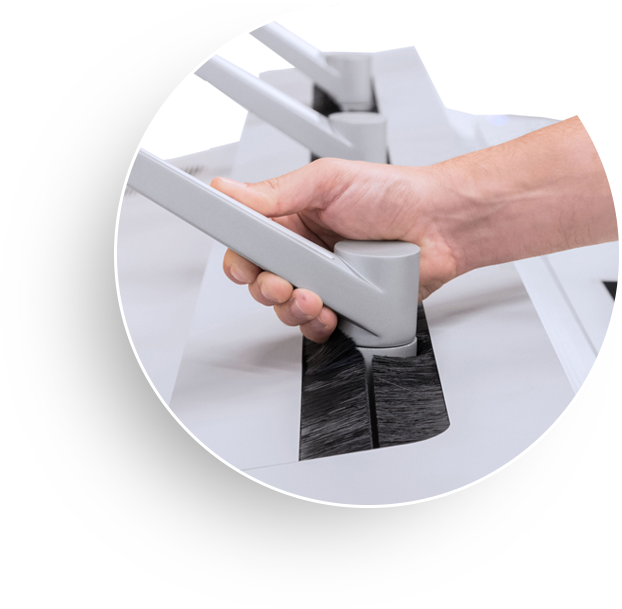 During the design, development and engineering phase, GESAB applies ergonomics guidelines, substantially increasing the user experience both with the solution and with the environments it comprises. The concept of space taken further. The 360º design technique enables the actual console to be optimised and spaces to be developed for the operator’s use. Customisation is taken to another level with complements such as the Personal Dock or the Personal Box. A console that, in addition to having a careful design in terms of detail, adapts perfectly to any space or room thanks to the versatility of its design. The Slide console and all the ACTEA family consoles adapt to any need. 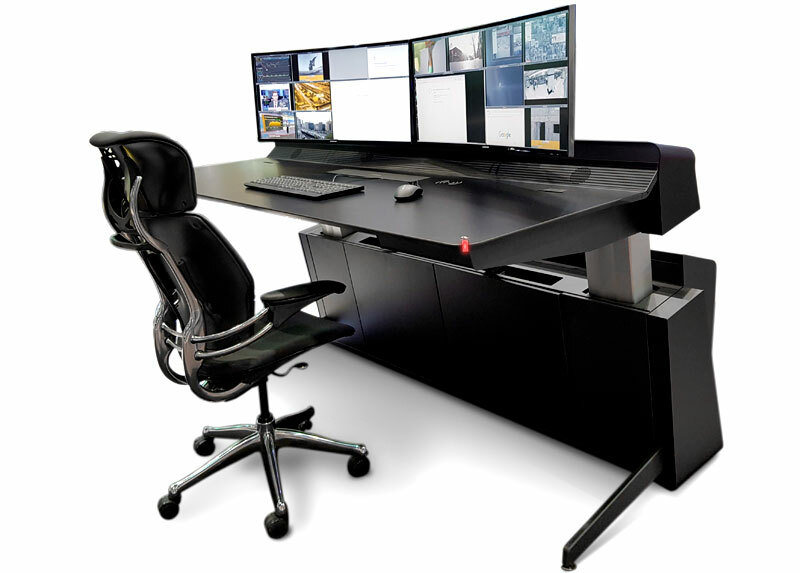 Discover DeskWall, a new revolutionary concept that, together with ACTEA Mission, offers the operator the definitive experience at control centres. 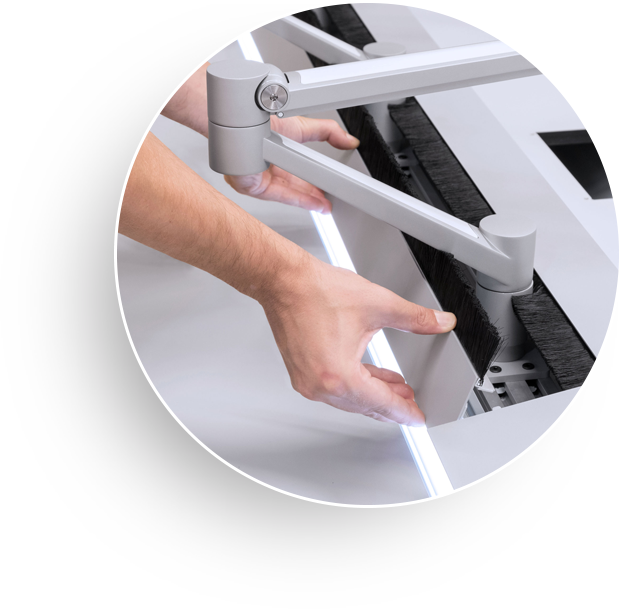 With DeskWall, a new work philosophy is born that gives the operator the capacity to generate, with absolute flexibility, a display space of up to 12Kh. A blank canvas that enables equipment and data sources to be managed, administered and controlled through a single keyboard and mouse in a revolutionary concept: the multi-canvas. Precision on each line. A perfect combination between shapes, colours and materials. A new control console that provides a unique experience. By taking care of every last detail, at GESAB we go one step beyond quality, seeking excellence through the best materials and finishes with the most advanced design to guarantee maximum satisfaction.